Vimalamitra (Skt. ; Tib. དྲི་མེད་བཤེས་གཉེན་, Drimé Shenyen; Wyl. dri med bshes gnyen) aka Mahavajra — one of the most learned Indian Buddhist masters. He went to Tibet in the ninth century, where he taught extensively, and composed and translated numerous Sanskrit texts. 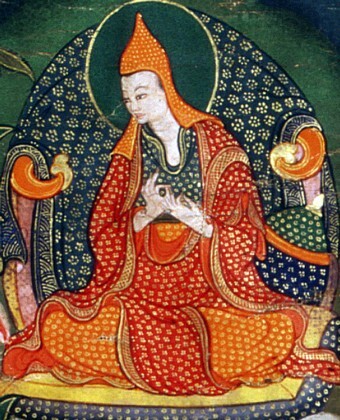 The quintessence of his teaching is known as the Vima Nyingtik, one of the Heart-essence teachings of the Great Perfection. Dudjom Rinpoche, The Nyingma School of Tibetan Buddhism, Its Fundamentals and History, trans. and ed. Gyurme Dorje (Boston: Wisdom, 1991), vol.1 pp.497-501. Nyoshul Khenpo, A Marvelous Garland of Rare Gems: Biographies of Masters of Awareness in the Dzogchen Lineage (Junction City: Padma Publications, 2005), pages 78-82. This page was last edited on 18 April 2012, at 23:03.